Thanks to all of our loyal customers and thanks to all of you who are considering using us on your next project. It is always a pleasure to work for such a diverse group of pleasant people. We are very grateful for everyone who has helped us along the way and made us being here possible. Here at A Plus Electrical Service we know that a happy customer is a repeat customer. No matter how much the company grows in the years to come we will always strive to meet or exceed the expectations of our clients. “We use A Plus Electrical Service LLC as our electrical contractor for all of our projects that we need electrical on. The owner and his employees are reliable and do excellent work. They have traveled to many areas throughout Virginia and Maryland for Regal Cinema projects that we do. They are always on time and very trustworthy. We will continue to use them on all of our projects in the future." 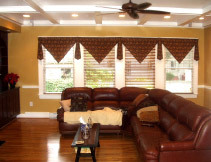 "Coastal Living Designs uses Tom and his business for all of our company's building and remodeling projects. Their attention to detail and quality of work is something we require of all of our contractors and Tom has never let us down. As an aside, we also use Tom and his crew for our personal home projects as well. We highly recommend Tom for all your electrical contracting needs." 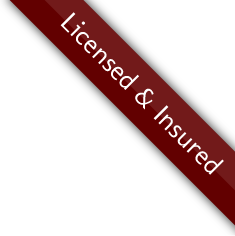 We are a licensed general contractor, we frequently are in need of an experienced licensed and insured electrician. We have used A Plus Electrical Service LLC (Tom) for all of our jobs that require a top notch electrician. Tom is reliable, dependable, trust-worthy, competent, experienced and fairly priced. He shows up on time and does a great job. I would highly recommend him without reservation to anyone. If you are in need of a reliable professional electrician call Tom with A Plus Electric.